Free, Fun and Very Informative! 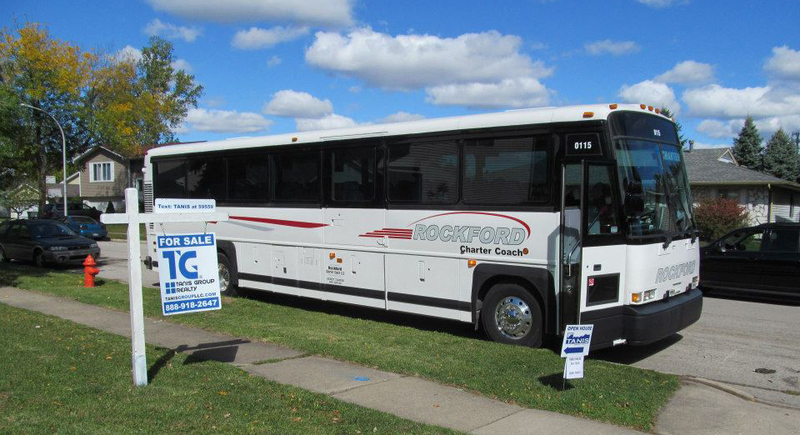 If you are a first time buyer, aspiring investor, fix and reselling, or adding to your rental portfolio, GET ON THE BUS! See a wide range of foreclosed properties taking a restroom equipped luxury bus and meet with recognized experts in today’s real estate market. Find out how to buy and profit. TANIS Group Realty is one of the largest premier real estate companies in Northeastern Illinois for Government owned, bank owned and short sale properties. Talk with our agents that are specialists in foreclosures. Learn how to analyze a home for investment and speak with a contractor to estimate cost. Get advice from our mortgage partner on how you can buy and renovate these properties with a small down payment. Discuss the legal process with a prominent local real estate attorney. If you have questions, you will get answers. Foreclosure reference materials are also provided. Sign up today. Seating is limited!